We, the Colorado Traveling Ducks, and humans are back in Palomas, Mexico. And that means we are going to the Pink Store. We love the Pink Store. This is only our third time visiting, but we look forward to shopping and having lunch here. And mom did promise that next trip to the Pink Store, she will get a better photo of the store. It’s really not that dark and dreary there. 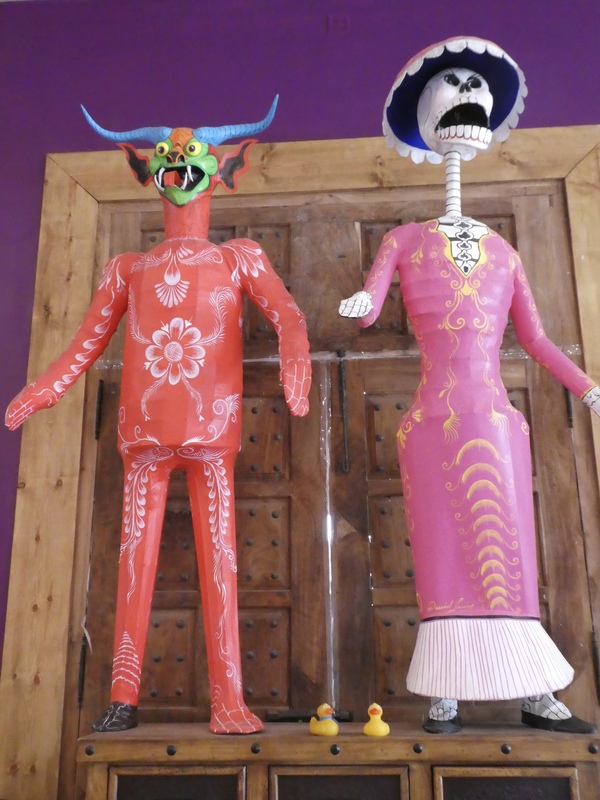 The most notable items are possibly the bigger than life statues for Day of the Dead celebrations. In Mexico, Day of the Dead is celebrated November 1 and November 2. Many believe the spirits of deceased relatives return to their homes. Death is not feared, but embraced as a part of human life. 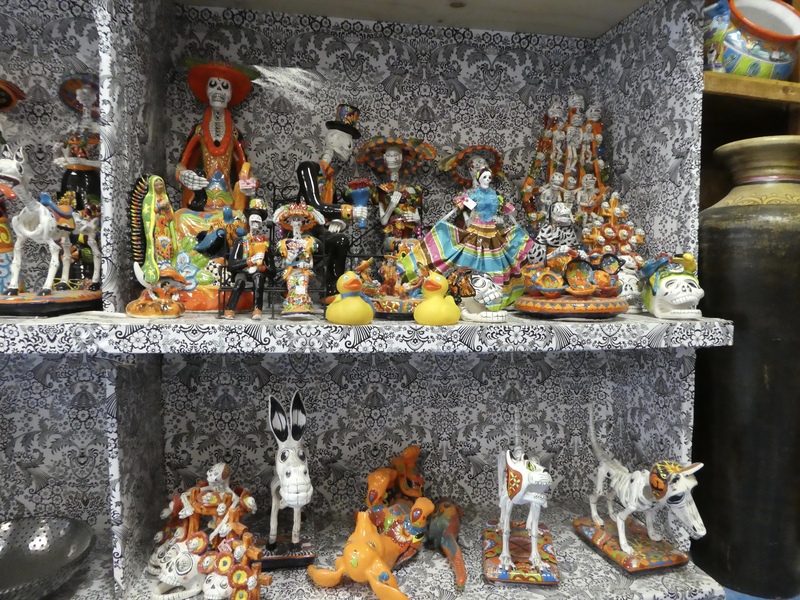 Here are more items for Day of the Dead. We like the dogs on the bottom shelf. Often the living will assemble an “ofrenta”, or memorial of items important to the deceased while they were alive. But there are many more items at the Pink Store. Many pottery items. All of these are hand painted. 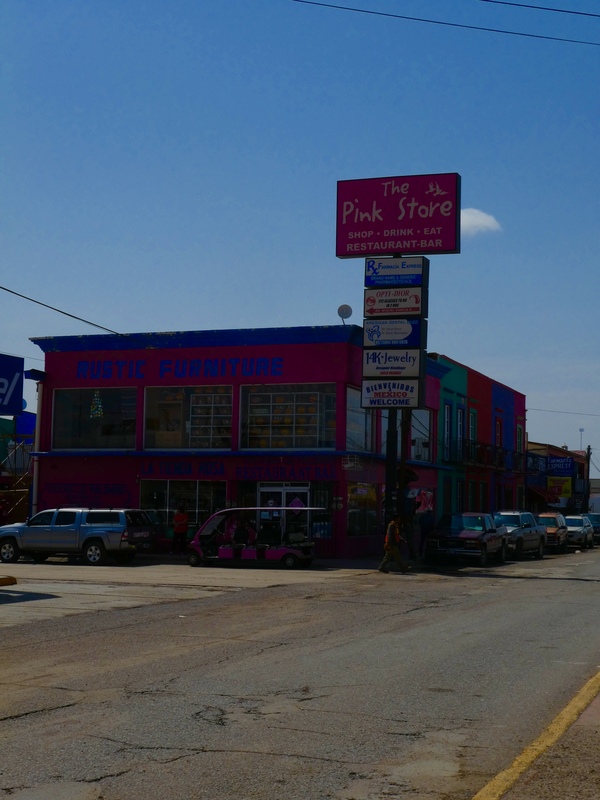 We feel that the Pink Store offers some of the best Mexico has to offer. 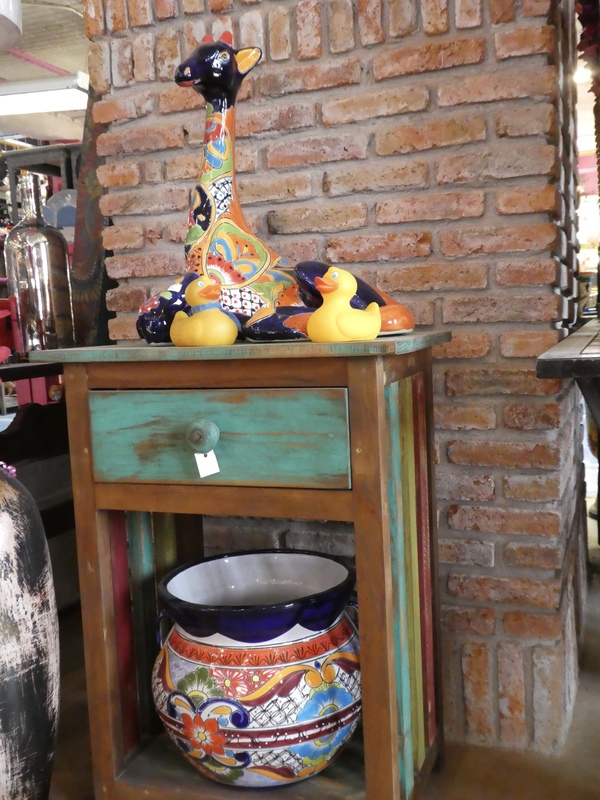 The items here are of good quality and made in Mexico. 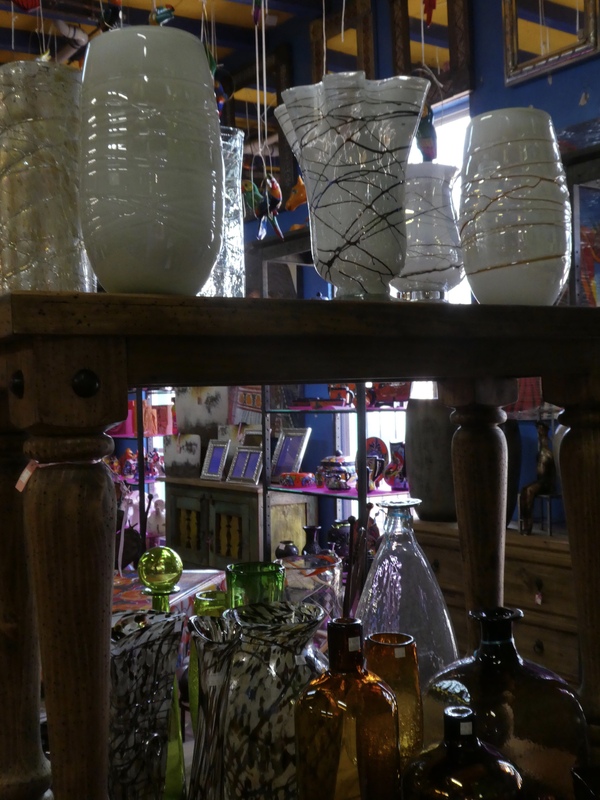 We like the hand blown glass. And of course, the silver jewelry is beautiful. These glass vases are pretty also. The dolls are so festive. Too bad we don’t have lots of empty shelves at home. 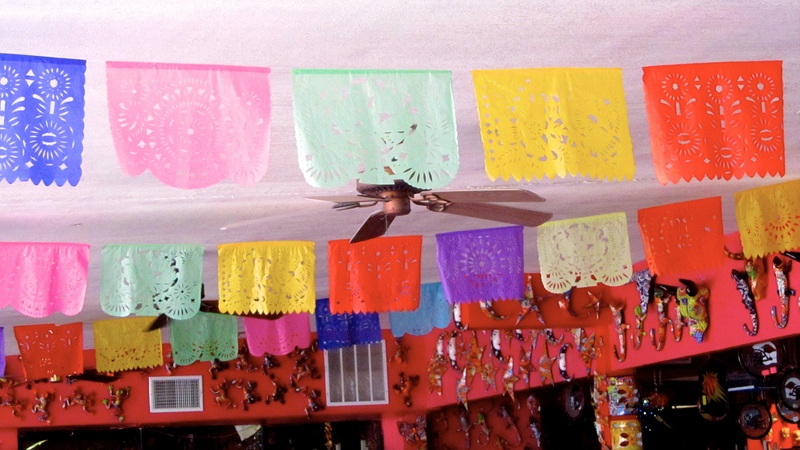 The sheets of papel picado, or cut paper, are really nice, with so much detail. 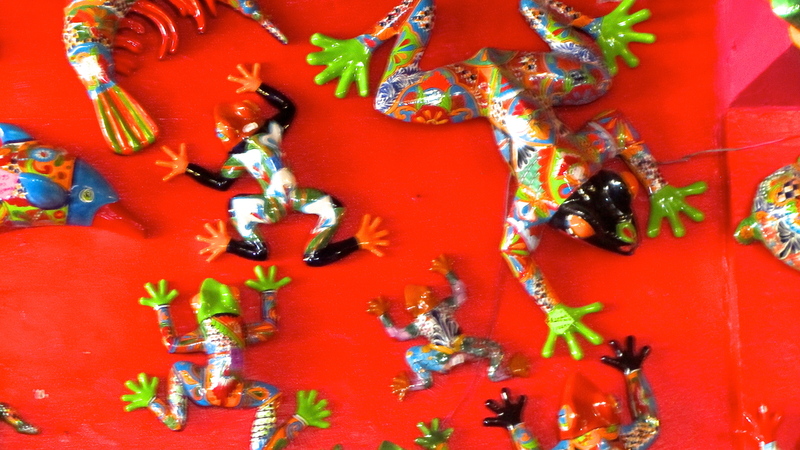 And who can resist the had painted pottery and ceramics figures? Not us. We do a little shopping, then have lunch or dinner here at the Pink Store’s restaurant. A day at the Pink Store is very enjoyable. And we always seem to have several packages to carry across the international border to our waiting car. 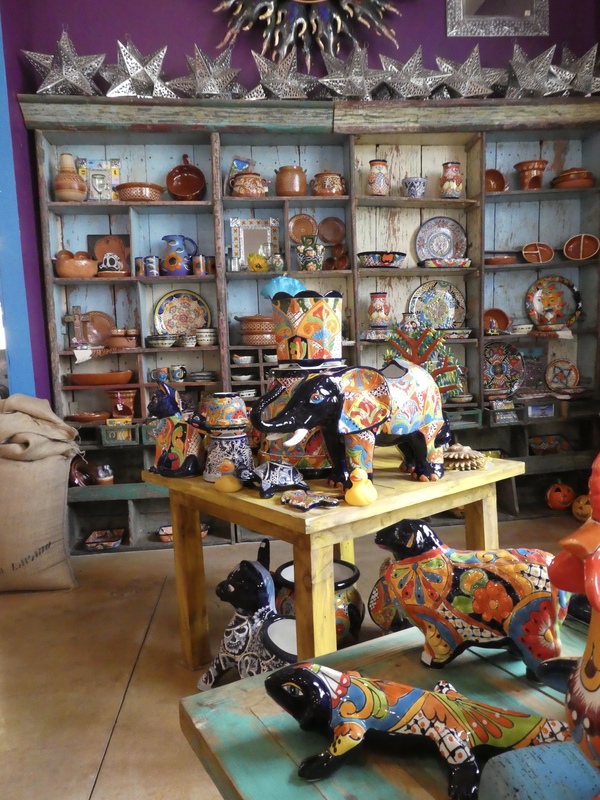 We think you would also enjoy a day, or more, at the Pink Store in Palomas, Mexico. That is just across the international border from Columbus, New Mexico. And, the Pink Store and Palomas are not crowded. 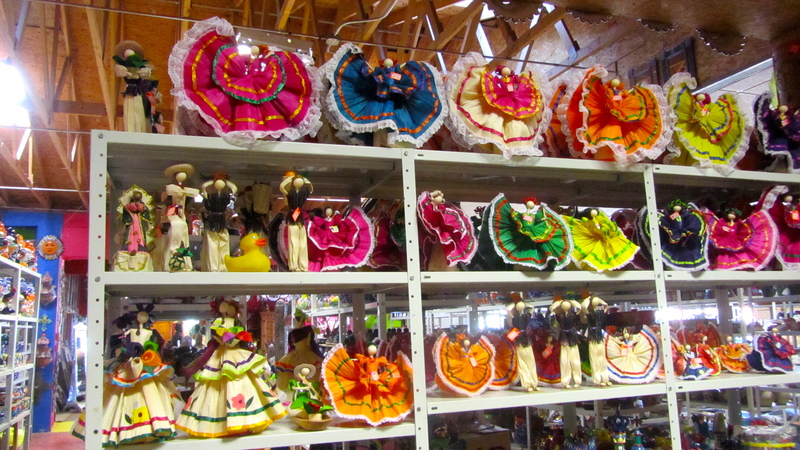 You will feel welcome and be able to look and enjoy everything in this small Mexican town. 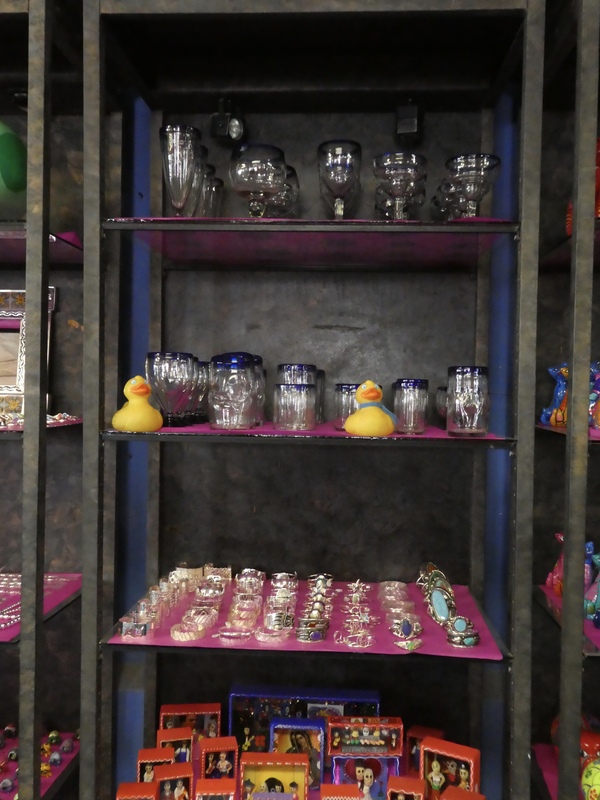 This entry was posted in Mexico, Uncategorized and tagged Colorado Traveling Ducks, Day of the Dead, Mexico, Palomas, The Pink Store. Bookmark the permalink. So you park your car and walk across the border? That’s interesting. It would be hard to resist buying something with all the pretty merchandise. The town of Palomas is right on the border. It’s easier to walk than drive and go through customs. Parking is easier on US side. No need for international insurance either. And of course we always buy something. As you said, just too difficult to resist.